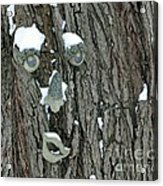 Winter Weary by Living Color Photography Lorraine Lynch - 8.000" x 6.375"
Winter Weary canvas print by Living Color Photography Lorraine Lynch. Bring your artwork to life with the texture and depth of a stretched canvas print. Your image gets printed onto one of our premium canvases and then stretched on a wooden frame of 1.5" x 1.5" stretcher bars (gallery wrap) or 5/8" x 5/8" stretcher bars (museum wrap). Your canvas print will be delivered to you "ready to hang" with pre-attached hanging wire, mounting hooks, and nails. Thank you so much Marian! 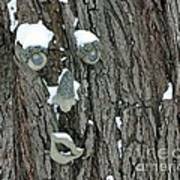 This tree is in my backyard! 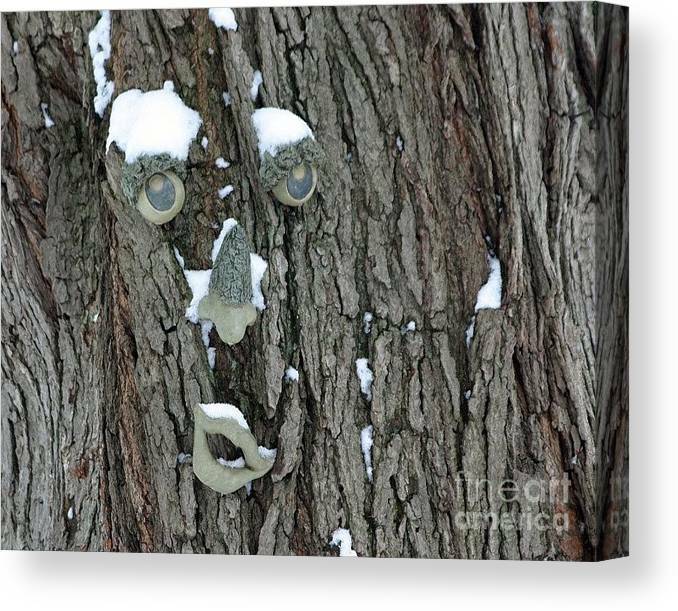 It's over 250+ years old I believe, and I put this face on the tree many years ago to give it a personality! The tree has been beautiful all the years we have lived here and provides beauty and shade during the Summer months. Thanks so much! 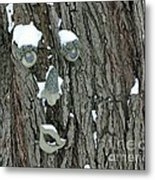 I am delighted to see my 250+ year old tree and it's face to be featured in "Winter Wonderland" Group! This old tree of mine has endured many storms! Thank you so much!